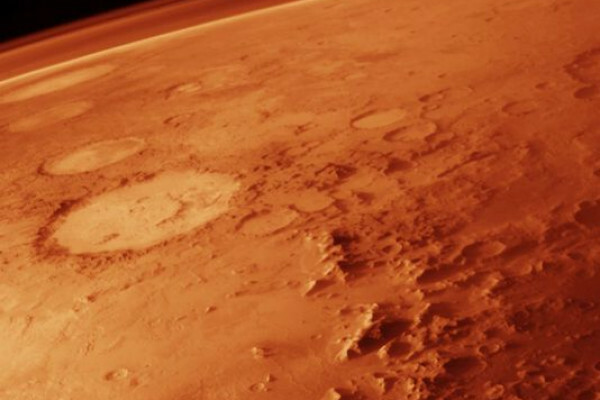 Does methane on Mars mean life? Chris - Tell me about this methane, how did you find it in the first place? Mike - Well, we were searching for it since 1999, actually. We are using a spectroscopic technique from the summit of Mauna Kea which is a very high volcano in Hawaii, 14,000 feet, where unlike most of Hawaii it actually snows once in a while. In any case we started then and by 2003 we had actually detected the gas using a technique called infrared spectroscopy and looking for vibrational bands of methane and of water at the same time. Chris - Why did you go looking for it in the first place? Mike - Of course, one would not expect to find methane on Mars because it's an oxidising atmosphere. Unless it were released very recently, otherwise the lifetime of methane would be too short to have a significant abundance in the atmosphere. The general view if methane is released it could only be coming from one or two potential sources: one being geochemistry of one or two kinds and the other being biology of one or two natures. Chris - So you think that in the same way that the early Earth was populated by methanogens, bacteria that make methane and actually were quite beneficial to us because they warmed up the Earth and made it the propitious environment for other kinds of life like us to exist later, you think the same thing might be happening on Mars? Mike - It very well could be. In fact, we can take a message from the deep biosphere below South Africa where scientists have discovered that there are bacteria down there which actually metabolise in total absence of sunlight. They use radiolysis to break water into molecular hydrogen and oxygen and then the bacteria basically eat that hydrogen and use a gas called hydrogen sulphide as a result. It's not a great stretch to imagine that a methanogen might exist in the environment in Mars and using energy from radiolysis at least and then excreting methane which is then released into the atmosphere. Chris - So having identified the fact that you've got this methane signal in the atmosphere around Mars how did you then further develop the investigation to try and work out where it was coming from? Mike - We used a spectrometer that has a long entrance slit and we placed that slit along the north-south meridian of the planet, the midline dividing east and west hemispheres. Then we take 50 spectra at 50 locations along the slit and a cadence of every 60 seconds. So every sixty seconds we get a new set of spectra. Depending on how we combine those spectra we can choose the range of longitudes that will pass under the slit during the interval. For example, in the case of a 5 or 6 hour interval Mars will rotate approximately 60-80 degrees of longitude in that time. This way we can then later convert the measured spectra taking latitude from the top and bottom of the slit and longitude with time and develop a map of methane. Chris - So the planet effectively, because it's rotating, surveys itself which is very convenient. What did this tell you? What did you see? Mike - The big surprise was not just that we had detected methane but actually we see three regions of active release which are fairly closely grouped, to within 500,000km of one another. One region is over the district called Nili Fossae. This is a canyon system which is known to be a site where phytosilicates - clay minerals that form in liquid water - and also carbonates are found by Mars Express and also by an instrument on the Mars observer craft. What's interesting is that this is also a region of intense release of methane. Of course methane could be associated with water early in Mars' history or even now below the surface. Chris - Is the release that you're seeing constant? Are you continuously seeing methane pumping out or does it come in spurts? Mike - In fact it does not come out continuously. We find that between midsummer in the north when we see the maximum release and the next equinox season the methane is largely destroyed by a factor of 2 on Mars by a process we think is related to airborne dust. This methane is being released now in midsummer in the north. That's what we reported this week. Indeed, we think this is a very important window into an active Mars which we had not had before. Chris - So the obvious question is now you've got two choices. It's either life or it's not life, it's something geological. You've gotta answer that question, how are you going to do it? Mike - Well, we've started the test of these two hypotheses. One is to look for geological gases which would accompany either a geochemical production or biological production. So we've started a deep search for those gases in 2006. Unfortunately that's the season of equinox when we don't see the methane ever. They weren't so meaningful then so we'll be beginning again this fall, August 2009, at the very large telescope. Previous Born Obese? Does your mother's diet affect your future?